They play in the seventh tier of English football but for a short time on Saturday Blyth Spartans were attracting the attention of the football world. Former Ballon d'Or winner Luis Figo followed them on Twitter - joining US president Barack Obama in taking an interest in the Northern Premier League outfit - as they threatened to knock Championship side Birmingham City out of the FA Cup. But the gap of 120 places between the two teams eventually told (and Figo then unfollowed them). Here's how Blyth's memorable - if ultimately miserable - day unfolded. An upset on the cards? The Football Focus cameras were at Croft Park for one reason - the potential for an upset. You, the BBC Sport audience, agreed as when we asked you to vote for where you would predict an upset on the big third round Saturday, you saw one arriving in the north east. That one almost came true, while the tie second in the vote on 33.1% - Rochdale v Nottingham Forest - did end up in a shock as the League One side humbled their Championship opponents 1-0. But what is it that stirs us so much on FA Cup third round day? The thought of highly paid players turning up at rugged and hostile lower-league grounds likely plays a part. Football Focus presenter Dan Walker found a fines list which certainly belongs at Blyth rather than St Andrews, with home players threatened with a £10 punishment for missing a night out but only £5 for missing a match. "We've got a secret against Birmingham today, but I'm not going to tell you," Blyth manager Tom Wade told BBC Radio 5 live before kick-off. "It'll be tough, we'll give it all and even if we lose it won't be for want of trying." Around 50 journalists took their seats at Croft Park - where two or three normally turn up - and the crowd of a little shy of 4,000 watching waited for an upset which would ultimately never arrive. Robbie Dale, who works as a barman in his mother's pub, The Blacksmiths in Newcastle, pounces to open the scoring and within six minutes he weaves an opening to add a second. Blyth have FA Cup pedigree, reaching round five in 1978, but this is beyond their wildest dreams. After a timid opening, they have this game by the scruff of the neck. The home side almost net a third on the stroke of half-time and their club Twitter account is in fine, positive voice at the break. Birmingham last lost to a non-league side when Kidderminster Harriers rumbled them at St Andrew's in 1994 and that was a record they fought to maintain. After seven minutes of the second half it becomes evident Birmingham have had a talking to at the interval as one-way traffic pays off though Lee Novak. His first goal of the season reduces the arrears and within six minutes his side lead. Wes Thomas is strong to fight off a challenge and level, before heading the winner. 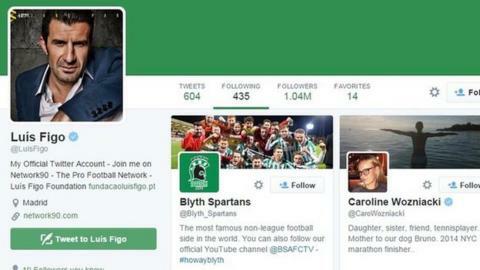 Such was the quick succession of goals, Blyth's once chirpy Twitter feed drastically changed in tone. Birmingham boss Gary Rowett: "It was a very, very nervy first half. "We didn't expect to be 2-0 down at half time and we needed to give the fans more. "I didn't need to give them a rocket at half time. I didn't throw anything and I was quite placid. To be honest, the players gave themselves a rocket and you saw the result. "As soon as we got one Blyth's heads went down." Blyth captain Robbie Dale: "At 2-0 up we got carried away. Once they came out and got one their tails were up and they showed their class." Blyth stem the tide of attacks and scrap to stay 3-2 down and when a deep corner is swung in at the death, that sought-after FA Cup glory moment looks on the cards as Joel Dixon leaps to meet a header. The packed stadium roars but his effort falls the wrong side of the post and Spartans are out. Nothing to look forward to in Monday's fourth round draw for them and a run of eight FA Cup fixtures in 2014-15 is over. Their exit is gallant and Birmingham defender Paul Robinson admires the effort. Blyth captain Robbie Dale faced the reality of a shift working behind the bar after defeat: "I am due to open up at half past eleven on Sunday morning. I asked the gaffer if I could do a shorter shift because I don't know what mood I will be in today and after a couple of goals I am planning to have a good night." "We had a perfect first half, but Birmingham were so quick to get three. It was a brilliant atmosphere today, both sets of fans were top class. We thought we would be hanging on all game so to be 2-0 up at the break was amazing. We've had a great cup run." Blues boss Gary Rowett paid tribute to Blyth: "I thought they were absolutely brilliant and this is what the FA Cup is about - a team from down the non-league pyramid having a day like this."